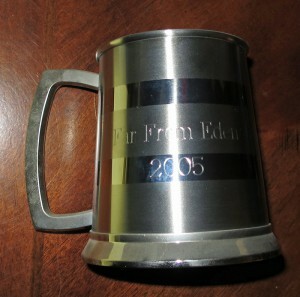 At the very first gig back in 2005 Tina gave the members of Far From Eden each a mug to commemorate the day. Here it is, ten years later! On November 28th, 2015 Far From Eden will return to the Club KasBar in Worcester for a night of music and dancing! Don’t miss the fun! 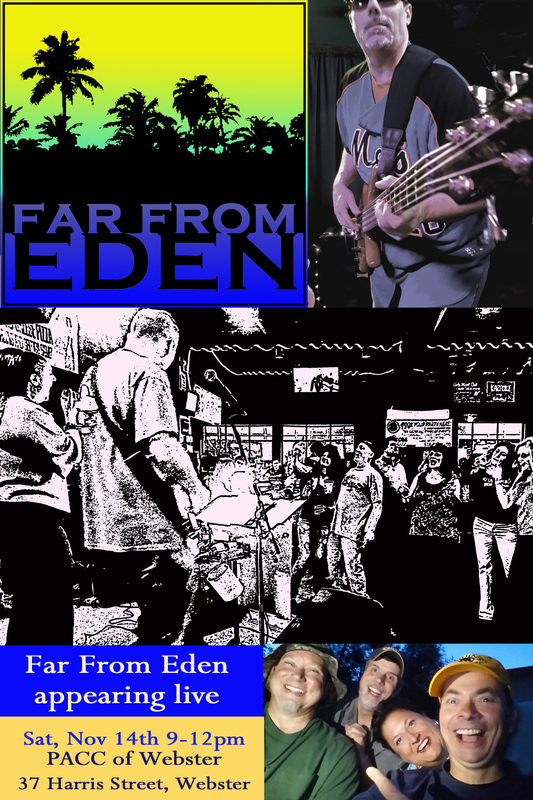 On Saturday, November 14th, 2015, Far From Eden will be playing the Webster PACC from 9-12. 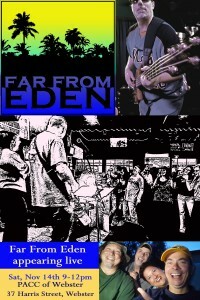 Come on out and join the fun! Welcome to our new website! We will bring you news and information, photos and videos. Join us for the fun!